Doll house is a fully lined gusseted bag with front pockets designed to house two gorgeous dollies. 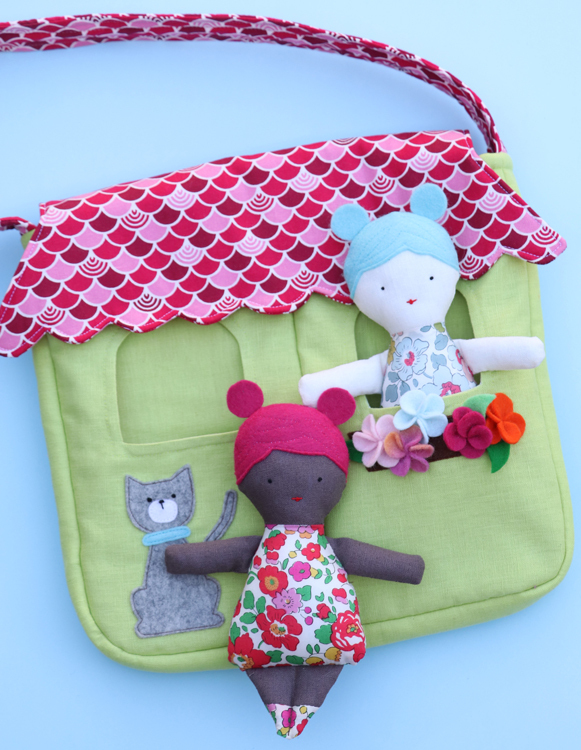 The window pockets are lined and the two cute dollies can peek out while they are being carried around. 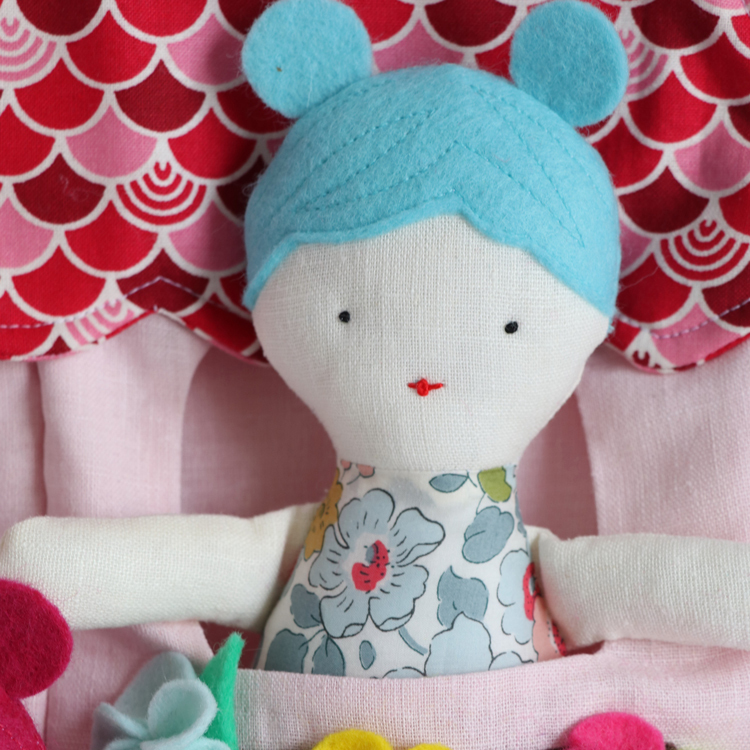 The bag can be made in linen or cotton and measures approx 11 inches high- large enough for a small person to carry a good book, a snack or maybe some more dollies.